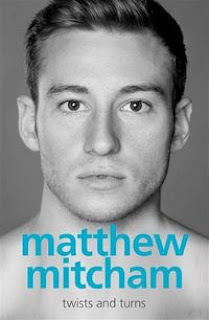 In his new book to be released on Monday titled 'Twists and Turns', Australian Olympic gold medallist Matthew Mitcham reveal his methamphetamine addiction that almost ended his career. Australian 10-metre platform diver Matt Mitcham says he battled a methamphetamine addiction in 2011 that almost derailed his career and his life, but the 2008 Beijing gold medallist will be free to compete on future Australian Olympic teams. In a book to be released on Monday, ``Twists and Turns,'' Mitcham reveals his battle with low self-esteem, anxiety and depression, panic attacks and repeated self-harm as a teenager, which helped begin his dependence on crystal meth. After winning the 10-meter gold medal at the Beijing Olympics, Mitcham failed to make the final 12 at the London Games this year. Mitcham said that even after his Beijing gold medal win, he was still ranked No. 2 - ``I had still failed to achieve my childhood dream of becoming the best in the world at something,'' so he turned to drugs. Mitcham, who is openly gay, said in the book, excerpts of which were published in Fairfax Media on Saturday, that he has recovered from last year's drug problems with the help of Narcotics Anonymous, hypnotherapy and his family and friends. He said he is back in training for the 2014 Commonwealth Games in Glasgow, Scotland.